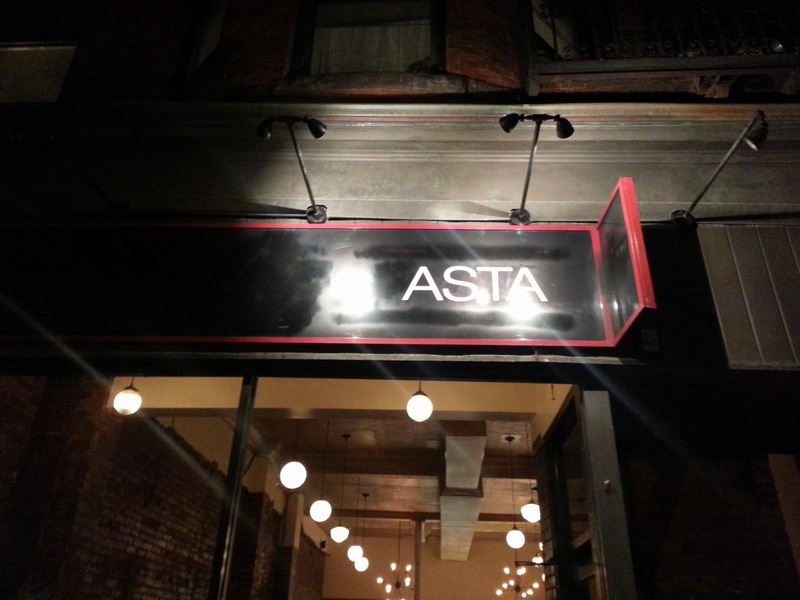 The newest addition to the thriving Back Bay dining scene is Asta, a tasting-menu-only spot with a casual feel and extraordinary offerings. 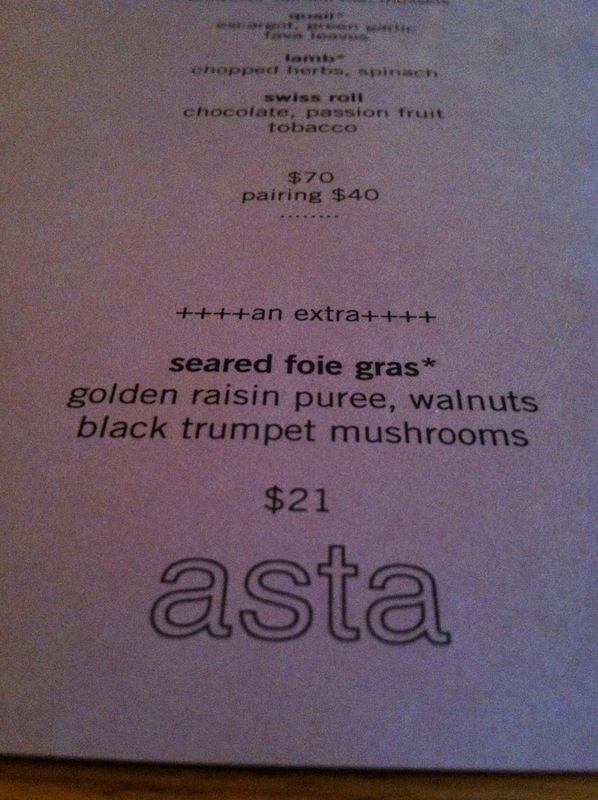 Asta is the first restaurant of L'Espalier's former sous-chef Alex Crabb. 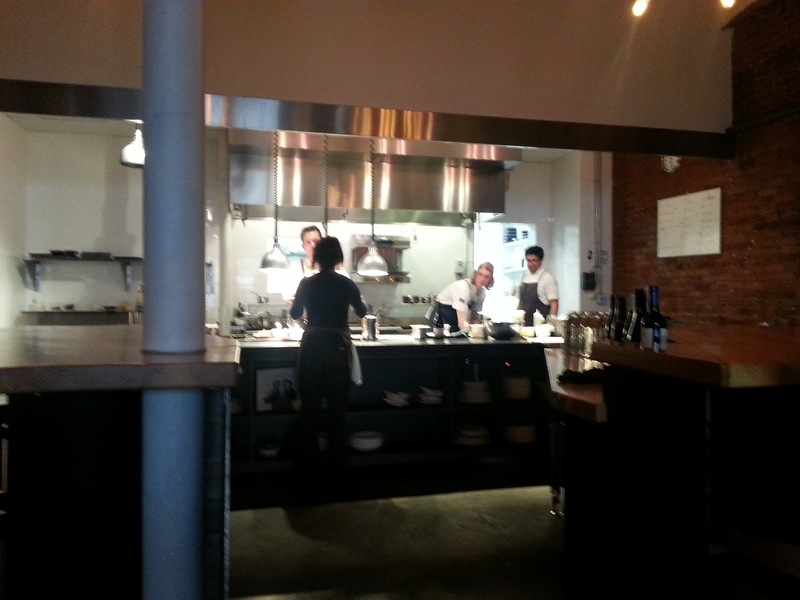 With an open layout with an open kitchen, minimalist decor, and welcoming staff, the place immediately feels like you're over to a friend's place for a dinner, but a friend that can actually cook...really well. 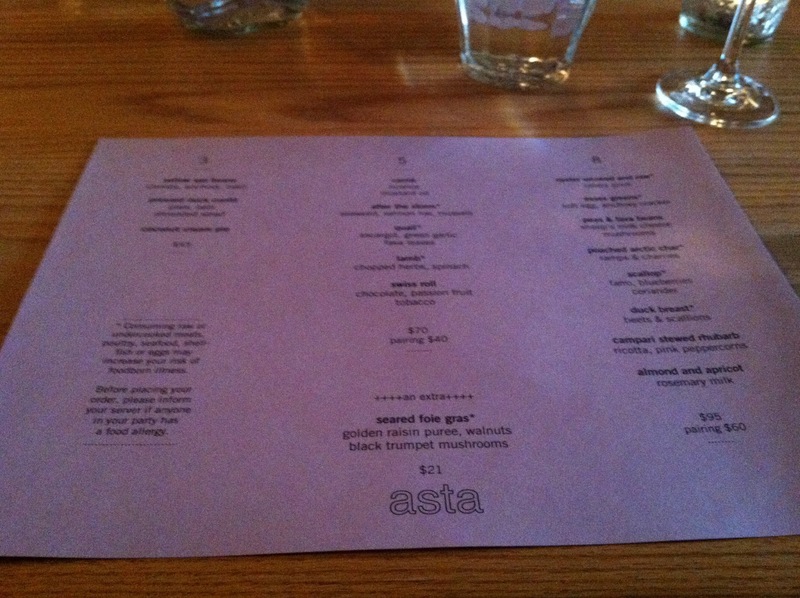 The menu is divided into 3 choices, 3-, 5-, or 8-courses with optional wine pairings. 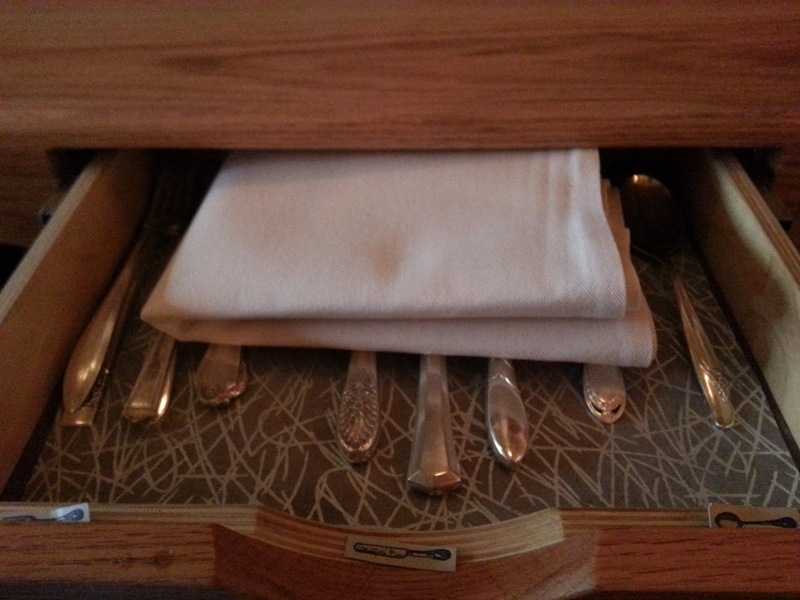 A nice change from the usual is the fact that not everyone at the table has to get the same option. I went with the 5 and T went with the 8. 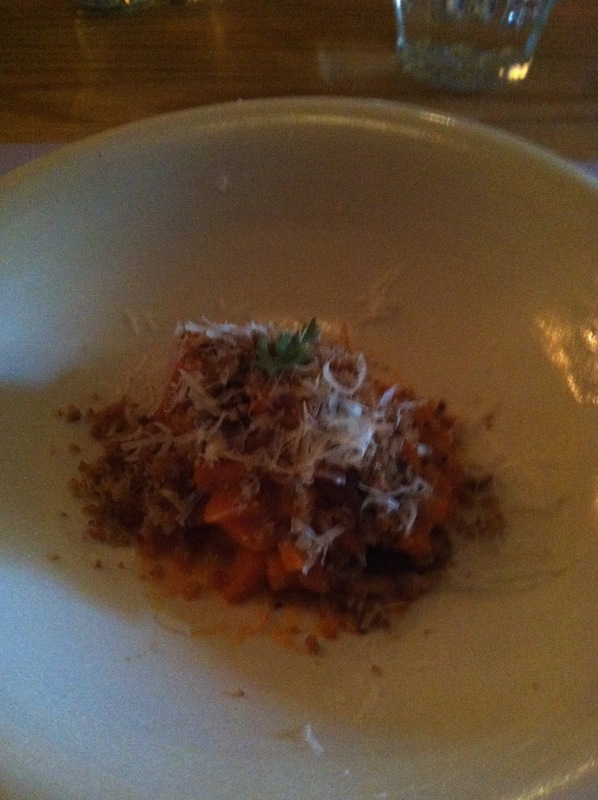 My first course was the carrot licorice mustard oil "risotto". A warm carrot with a hint of licorice, cut to look like rice. 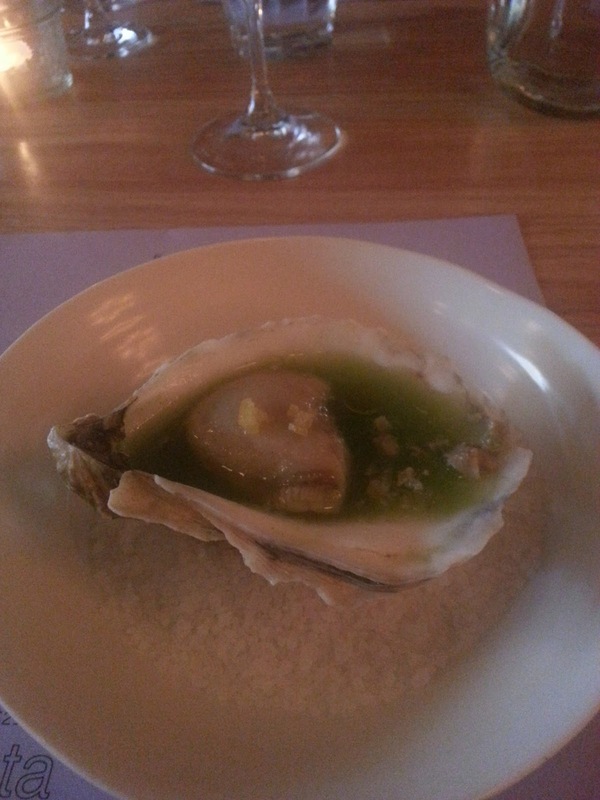 T started with the oyster "smoked and raw" with a cold, crisp brine, with a splash celery juice served on a bed of salt. 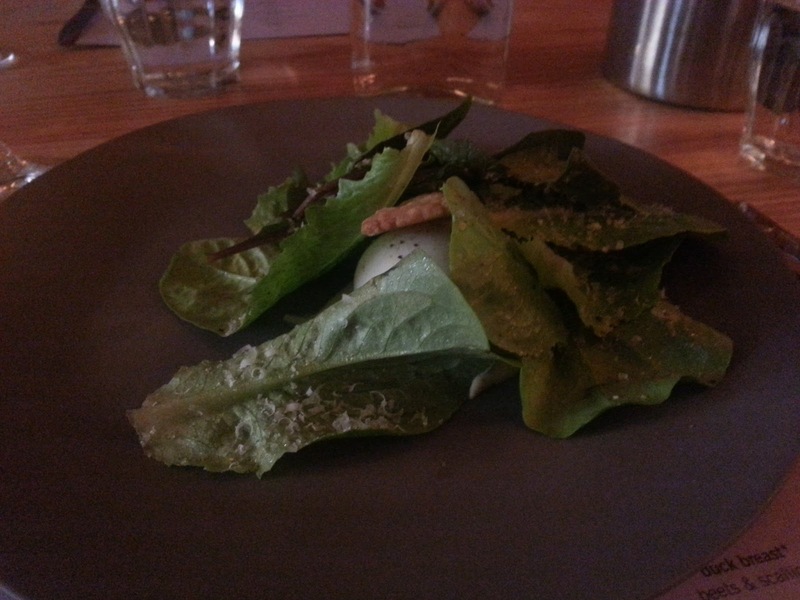 Next T had the essex greens with soft egg and a tasty tasty anchovy cracker, a take on a deconstructed caesar salad. 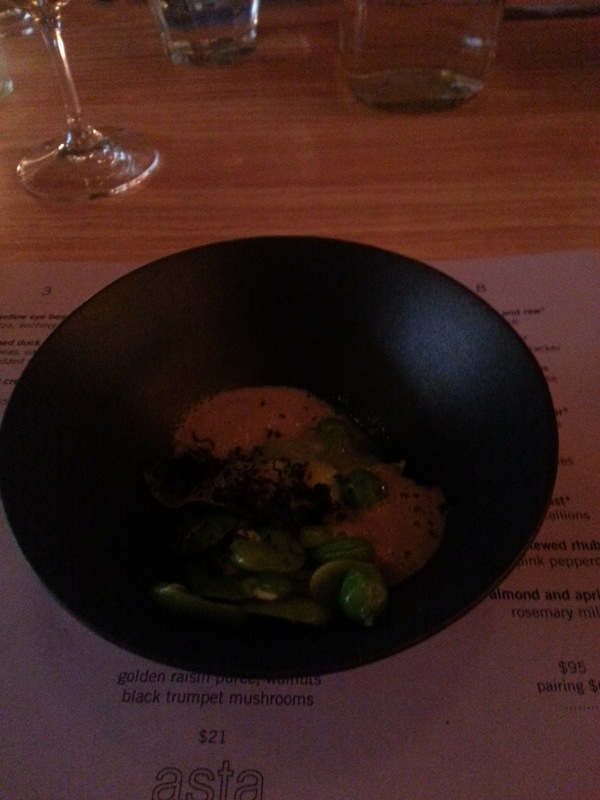 I swapped with T and enjoyed the peas & fava beans with sheep's milk cheese and mushrooms...one of my favorites, I wish I could make this for myself every day. 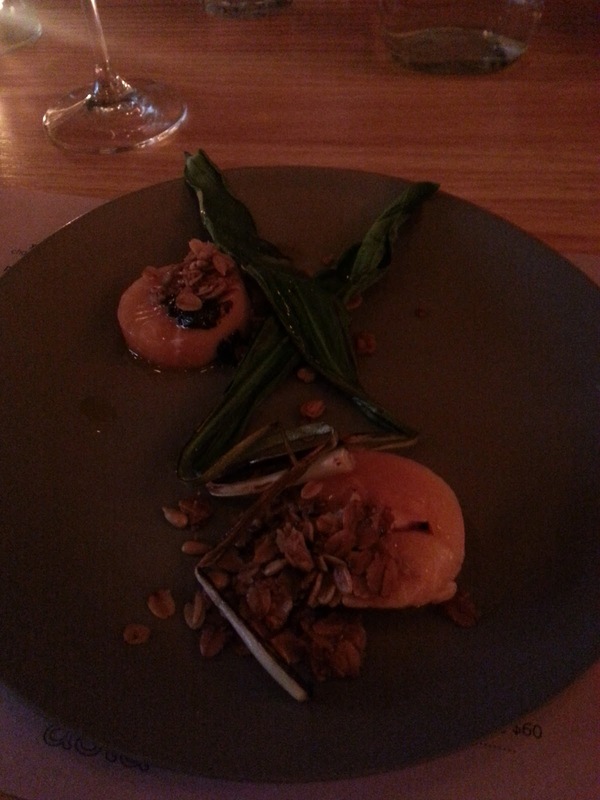 T had the poached arctic char with ramps & cherries, and a sprinkling of honey and granola, perhaps his favorite combination of all. 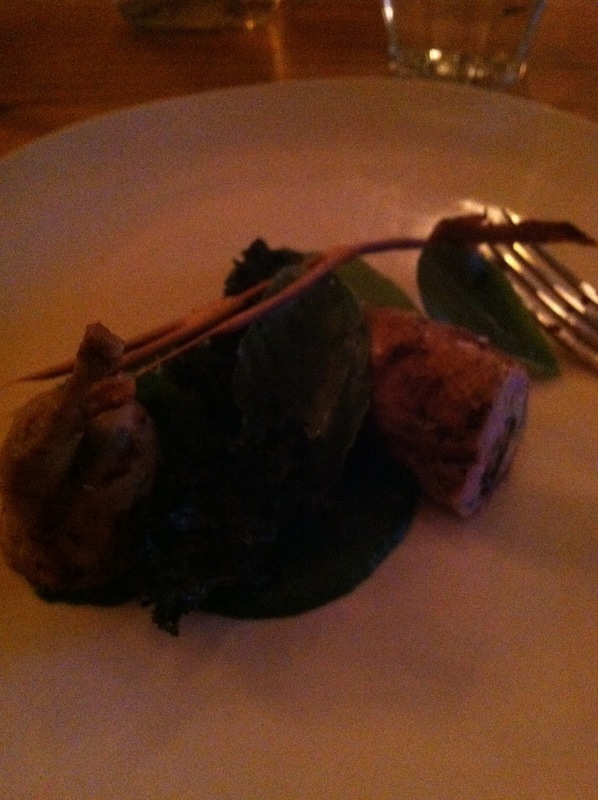 Next was my second favorite course of all, the quail stuffed with escargot, green garlic & fava leaves, topped with a branch of a fortune cookie-like texture. 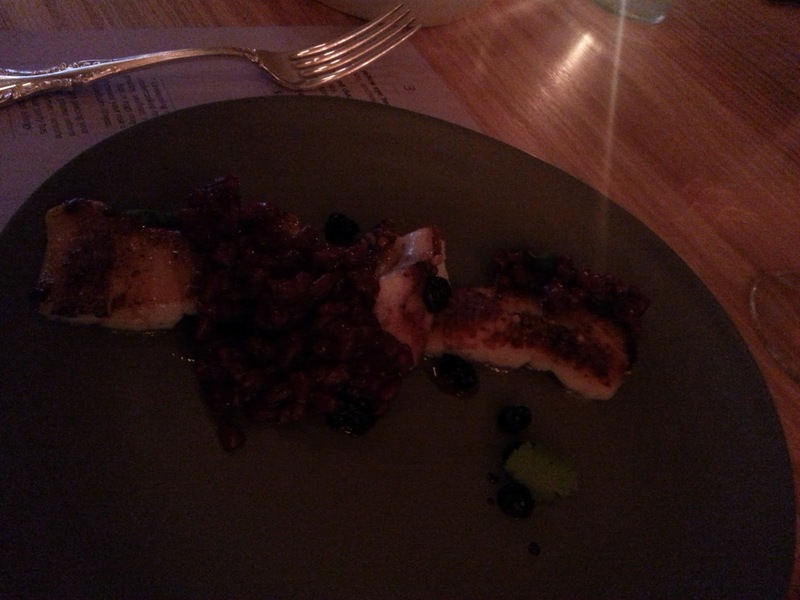 For T's 5th course, they gave him my favorite of the whole meal...the grilled scallop woth farro, blueberries, and coriander. 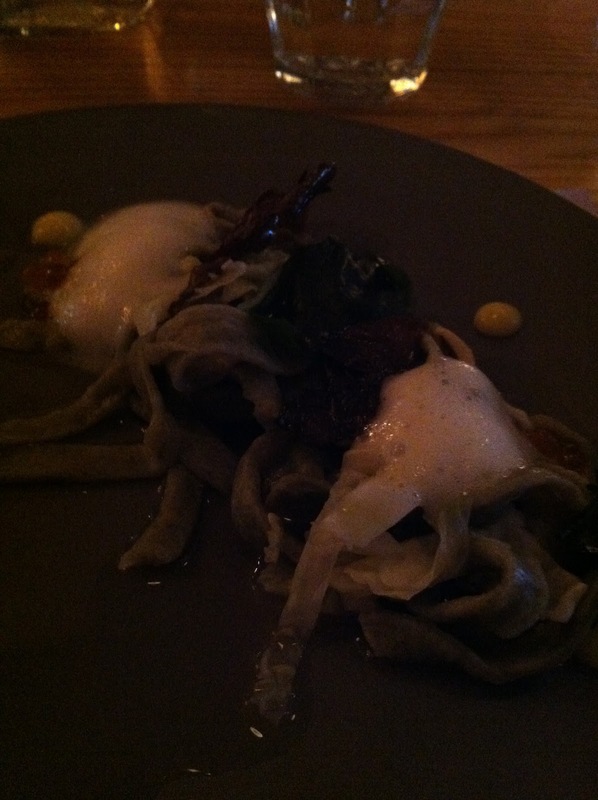 The combination of these ingredients were out of this world, my favorite course hands-down, even if the rest of the meal was terrible I would return for this one dish. 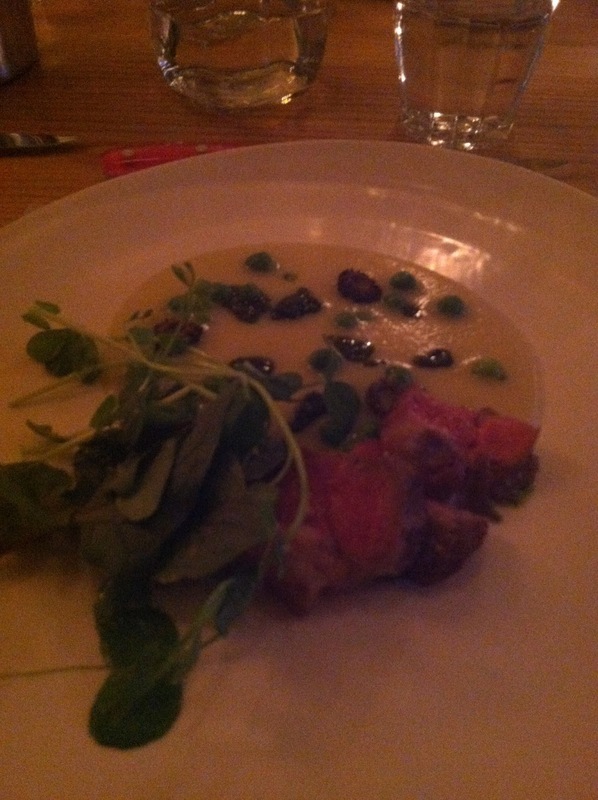 My final savory course was the ridiculously lean & tender lamb with chopped herbs & spinach along with foraged mushrooms swimming in a puree of sorts. 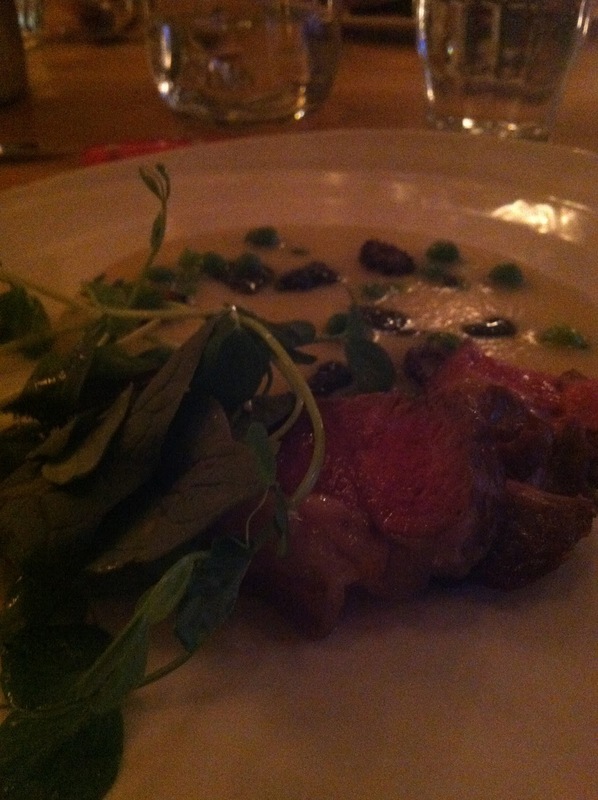 With no trace of a gamey flavor, neither T nor I had tasted a piece of lamb quite like this one. T's final savory course was the duck breast with beets & scallions. 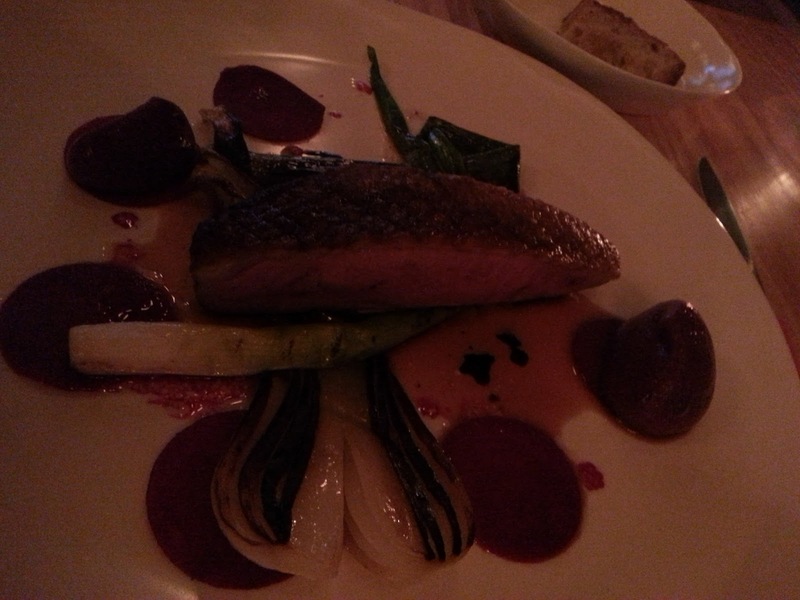 The duck was perfectly evenly cooked with crispy skin with the beets being sweet despite being very thinly sliced. 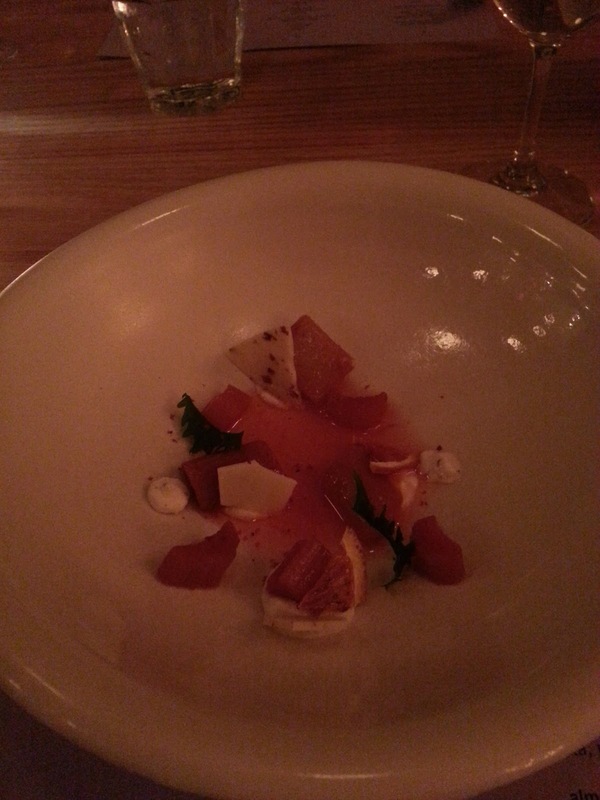 T's 7th course was the campari stewed rhubarb with ricotta, pink peppercorns, and dehydrated grapefruit. I have never disagreed with T more over a dish than I did on this one...I absolutely did not understand this dish and was overwhelmed with the grapefruit slices. On the other hand, T almost licked the plate he was so in love with it. 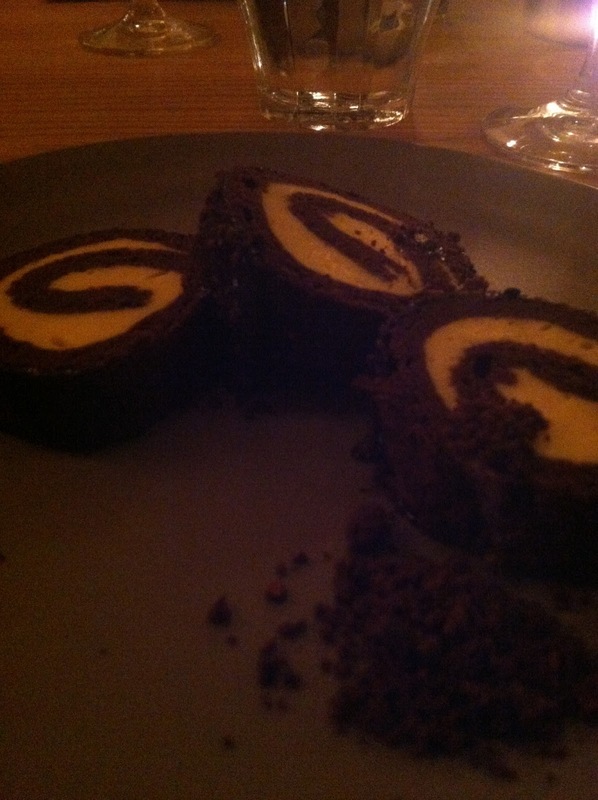 My dessert was the swiss roll with chocolate, a passion fruit filling, and a sprinkling of tobacco. Light, refreshing, and bright, it was a nice conclusion to the meal. 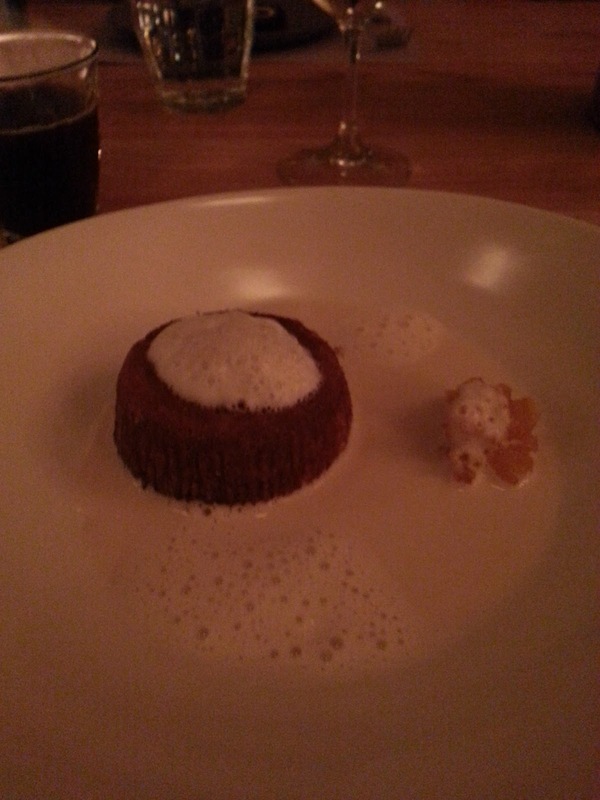 T's dessert was an almond and apricot cake with rosemary milk. 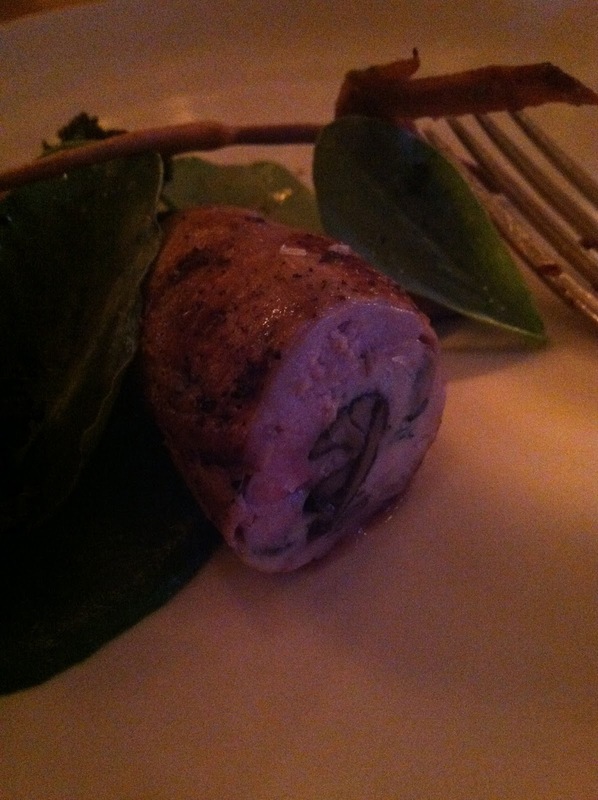 I was only given a nibble of this, as he was very protective over his favorite dish. We ended with some tea & coffee, along with a variety of petit-fours. By the end of the meal, with the large portions it was getting difficult to eat more, but we pushed on as the dishes got surprisingly better dish by dish. 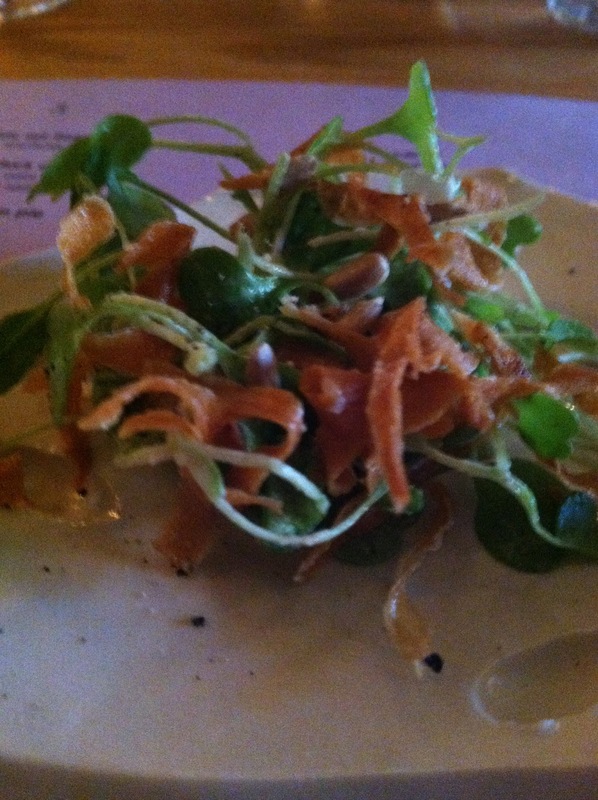 Each time we were blown away, and had to share our glorious dish with the other, trying to decide who won. 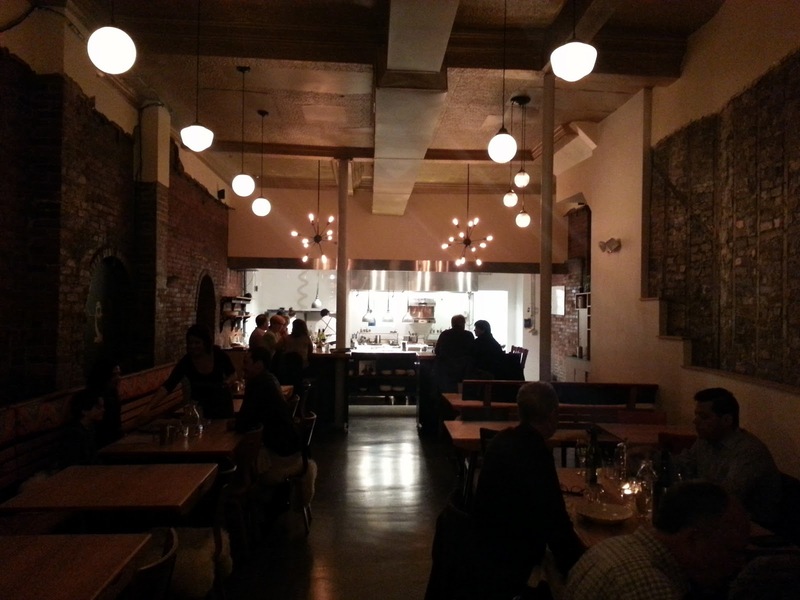 In the end the splitting and switching of the dishes worked out perfectly and we both left stuffed to the brim with great wine & even better food.